New Way is leading the market in low-cost, environmentally sustainable options for customers. Currently, 25 to 30 percent of all New Way® refuse trucks are built to be fueled with compressed natural gas (CNG). In larger municipalities, it is not uncommon for up to 80 percent of the fleet to be CNG refuse trucks. 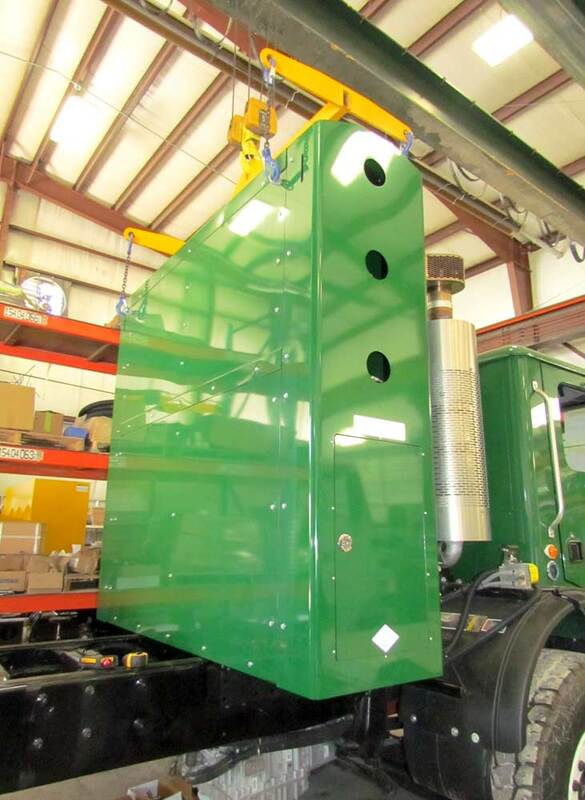 Since there are numerous available locations to mount the CNG system, New Way® engineers will find the best location for each individual garbage truck chassis and each individual situation. Cleaner emissions, historically proven fuel savings and whisper quiet operation are just a few of the reasons so many clients are opting to move to CNG garbage trucks. New Way's factory CNG integration also means a quicker turnaround and lower costs on your natural gas-fueled truck. That's in addition to our already-competitive pricing, proven durability, and growing dealer network – meaning you'll be driving the greatest value in CNG refuse trucks. CNG Systems are available on all New Way® models.